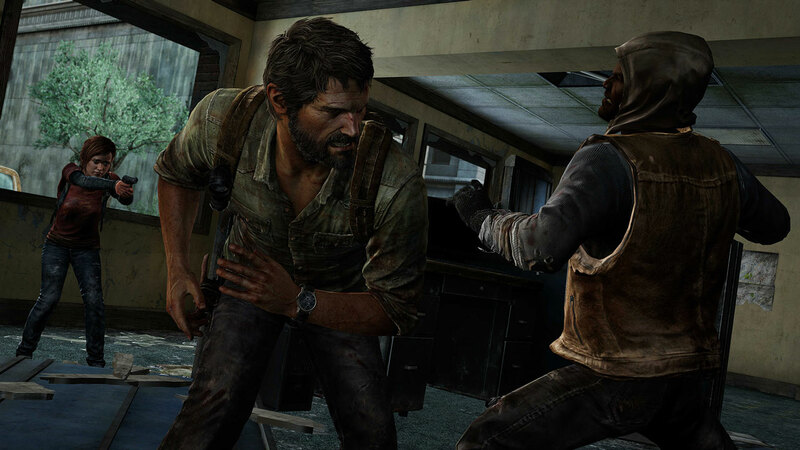 If video games have taught us one thing, it's this: Surviving a zombie apocalypse isn't easy. Living through one is even harder. Over the years, survival horror games have embraced the undead, letting players slice, bludgeon, shoot, outsmart, and outlive zombie infestations around the world. The genre has become so popular that it's arguably overdone, even though year after year new zombie survival games challenge how players think about the dead running amok around the world. From realistic online survival simulators to story-driven adventure games, there's a zombie outbreak for every gamer out there. Here are some of best survival horror zombie games around. Imagine playing through a randomly generated zombie survival road trip with a new story to explore every single time you play. That's Death Road to Canada in a nutshell, a survival horror game that merges Oregon Trail with top-down zombie shooting action. In Death Road to Canada, players lead a party on a road trip to Canada, which is (thankfully) completely safe from the undead apocalypse ravaging civilization. Players have to strategically plan out their road trip, deciding when to restock supplies, horde resources, and how to navigate random events in order to keep their crew alive. 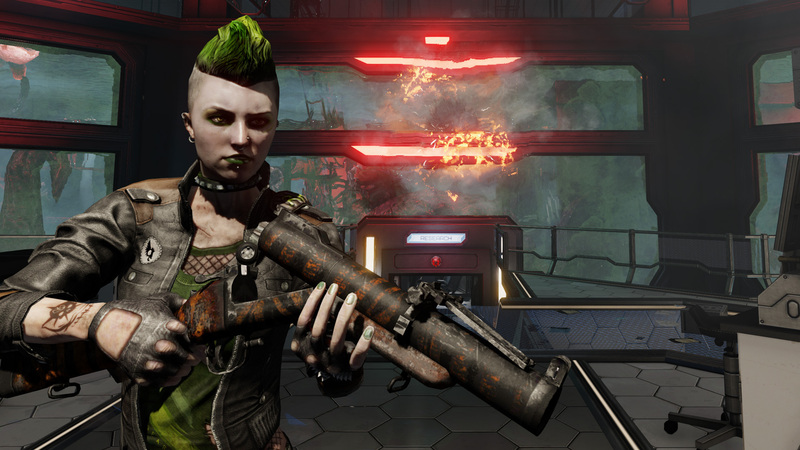 The game even features its own character creator where players can add their friends, family, and coworkers (or enemies, if you're feeling a bit sadistic). 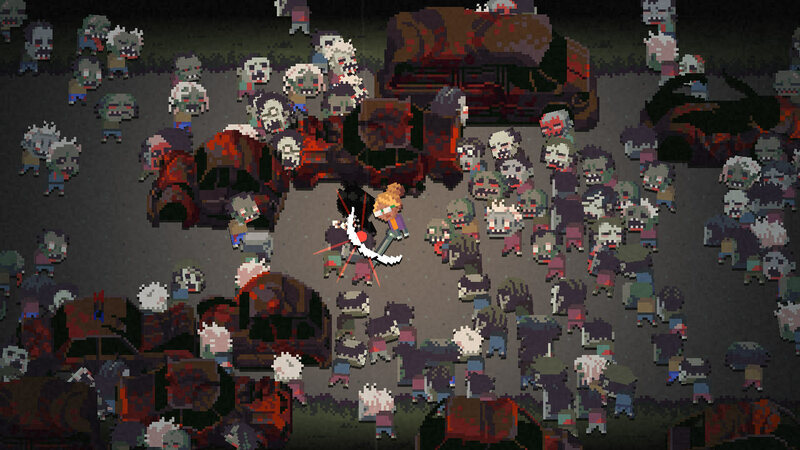 For a strategic zombie survival roguelike experience, Death Road to Canada is an easy pick. 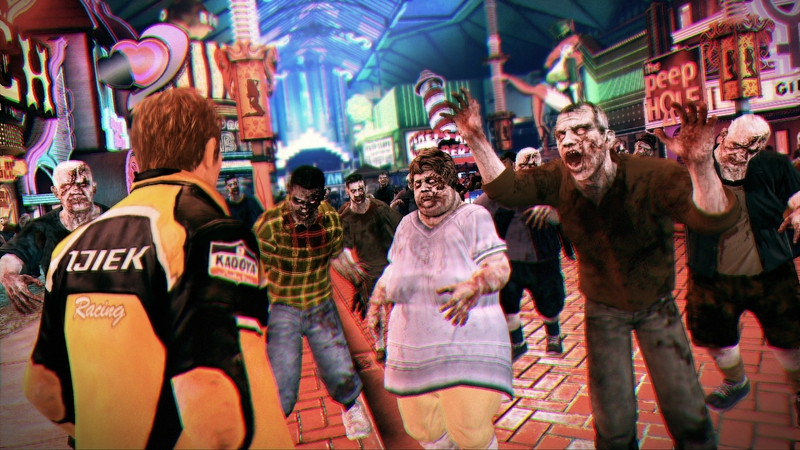 When the Dead Rising series first launched on Xbox 360 in 2006, Capcom revolutionized the zombie survival horror genre by showing how then-next-generation hardware could display dozens upon dozens of zombies on a screen at a time. But Dead Rising 2 truly expanded on the game's original formula by adding more, more, and more. In short, it's a treat. In Dead Rising 2, players star as Chuck Greene, a motocross racer stuck inside an enormous casino and mall where zombies break out again. Whoops. Along the way, Chuck must collect medicine for his infected daughter, rescue innocent survivors, and collect various items to craft powerful zombie-killing weapons, called "Combo Weapons." From the machine gun-touting Freedom Bear to a literal IED, the possibilities are endless in Dead Rising 2﻿, making this one of the best (and zaniest) zombie survival games around. Somewhere along the line, Tripwire Interactive went from developing realistic World War II shooters to creating one of the gaming world's most popular survival horror shooters around, Killing Floor. And the game's sequel remains one of the best zombie survival horror games to date—especially if you're a fan of Brits running around and talking about money, money, money. Set in Europe during an outbreak of flesh-eating mutants from the U.K., Killing Floor 2 throws players across France, England, Denmark, and even space, teaming up together in class-based combat to shoot, maim, cook, and bludgeon Zeds to death. From the deathly, wailing Sirens to the manic Fleshpound, players have to hunker down, wield doors shut, and pool resources together to build up their arsenal and survive the zombie onslaught. By far, Killing Floor 2 is an easy choice for any player craving an online survival horror co-op experience. Now that it's out of Early Access, give it a shot. Valve's Left 4 Dead series has been a hallmark in the zombie survival genre for the longest time, and it's easy to understand why. Left 4 Dead 2 throws four players together and forces them to survive an ongoing, randomly generated zombie horde controlled by an advanced AI that monitors players' performance and changes the game's level design, items, available weapons, and supplies on the fly. 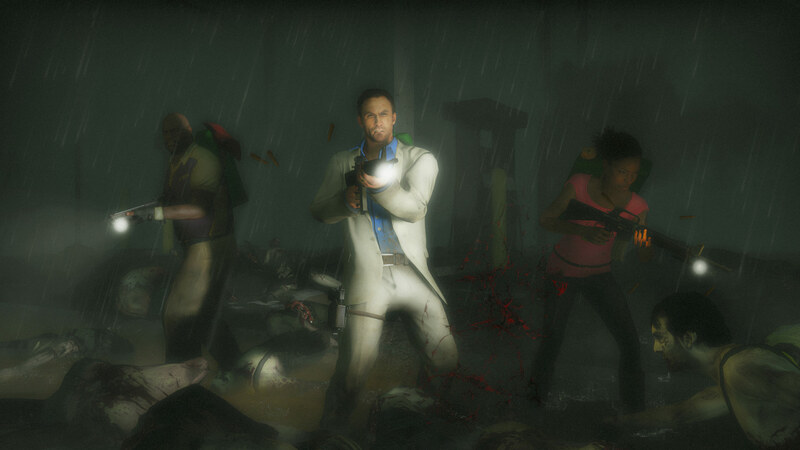 In Left 4 Dead 2's case, the game features 13 different campaigns for players to fight through, including six official campaigns from the original Left 4 Dead. With hordes of zombies to mow down, special infected to outmaneuver, and finale holdouts where players hunker down as they wait for rescue, Left 4 Dead 2 is one of the best zombie survival multiplayer games available on consoles and PC alike. Just remember to watch where you're going, lest you get the horde's attention with an obnoxiously loud car alarm. As far as zombie survival games go, Telltale Games' The Walking Dead is legendary. Unlike the popular TV show that inspired the contemporary multimedia franchise, Telltale's take brings on a visual style that's largely inspired by the original comic book series, and the game even features a few characters from the comics. Telltale's The Walking Dead follows university professor Lee Everett and a girl named Clementine, who work together to survive the zombie apocalypse as Walkers ravage Georgia. 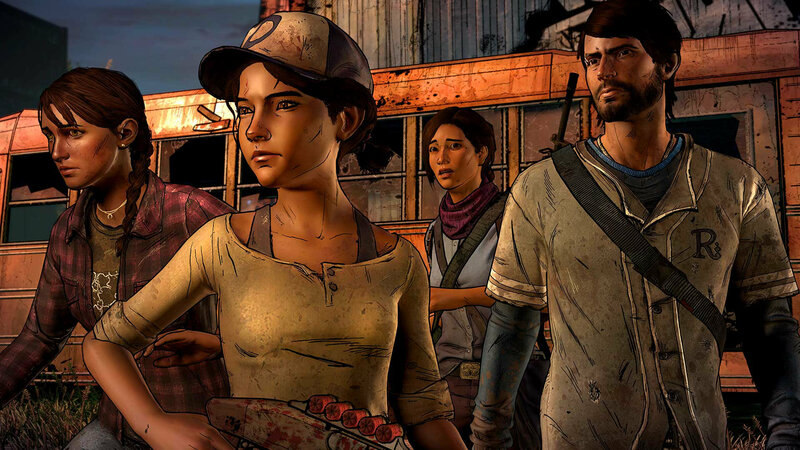 While praised for staying true to the original comic book series and its various adaptations, The Walking Dead is best remembered for providing players with branching narrative choices, many of which decide the fate of other characters. Part adventure game and part RPG, The Walking Dead captures what it really might feel like to live through the horrors of a zombie apocalypse. With the final season on the way, consider starting with Telltale Games' The Walking Dead Collection for a remastered experience. What's not to love about The Last of Us? Released at the tail end of the PlayStation 3's life cycle, Naughty Dog's action-adventure zombie survival title throws players into a post-apocalyptic world overrun by the Infected, human beings who have been turned into feral monsters after a fungus outbreak. Yikes. The Last of Us is primarily narrative-driven, focusing on the bond that grows between the smuggler Joel and Ellie, a teenage girl who holds a secret that could change civilization as Joel knows it. Ellie joins him in a long, winding journey throughout the U.S., facing off against soldiers, bandits, and Infected along the way. Hailed as both emotionally gripping and incredibly immersive, The Last of Us shouldn't be missed, especially with a sequel on the way for PlayStation 4, The Last of Us Part II. It's impossible to talk about zombie survival horror games without mentioning the series that kicked off the entire genre in the first place. Resident Evil gave birth to every single title on this list, and Capcom's upcoming remake for Resident Evil 2 is already set to become one of the best zombie survival games in gaming today. 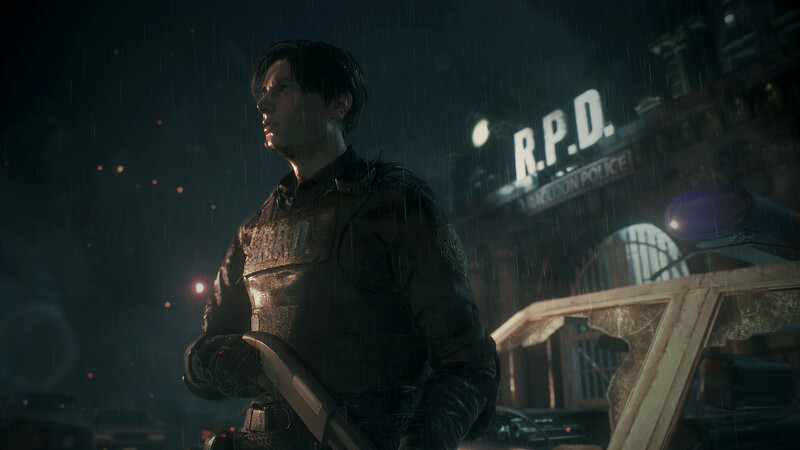 Set for 2019, the Resident Evil 2 remake returns to Raccoon City's zombie outbreak as Leon S. Kennedy and Claire Redfield try to survive the city's apocalypse nightmare. This time around, Resident Evil 2's HD remaster promises a new third-person camera, a much more open world to explore, a new realistic aiming system, and of course, HD graphics. Expect the same plot as the original game, but with new areas to check out and enhanced mechanics for a modern audience. Resident Evil 2's remake launches on Jan. 25, 2019 and will be available on PlayStation 4, Xbox One, and PC.